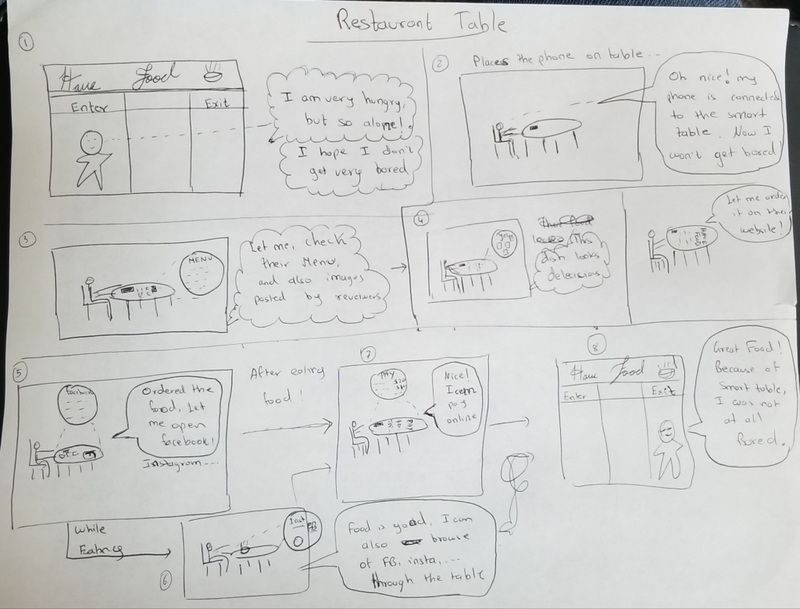 My storyboard focused on restaurant table. The table would be connected to the phone, and all the features of the phone will be supported by the smart table. Person would be able be able to order food on restaurant’s website, look at reviews on yelp, use facebook, instagram, etc., and at the end check out. It will have touch functionality. Smart table will make the experience less boring, and the user will be able to play games, look at reviews, check social networking websites, and more.